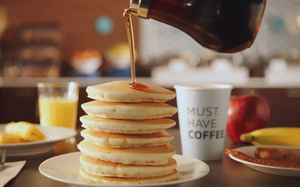 InterContinental Hotels Group’s Holiday Inn Express brand is partnering with Jukin Media in a series of vignettes that show how the hotel helps guests go from being ready to being readiest. “Be the Readiest,” produced by AOR Ogilvy and Mather, is the latest iteration of the Stay Smart campaign. In addition, the brand is bringing back Rob Riggle — actor, comedian and official Creative Director and Champion of The Readiest — for campaign spots premiering in May. With over 60 million fans across its social channels, the company curates and produces video for social platforms to the tune of 1.5+ billion views per month, says InterContinental Hotels in a release. Leveraging the power of the internet to find amateur content, Jukin was able to mine its vast video library and comb the broader social web to find remarkably engaging videos that perfectly demonstrate why being ready just doesn't come close to being “The Readiest. This campaign kicked off March 27 with a series of digital assets meant to inspire guests to “Be the Readiest” followed by TV spots featuring Rob Riggle. Throughout the spring, summer and fall of 2017, Jukin Media's Readiest compilations and Riggle's contributions will be featured on holidayinnexpress.com as well as the Holiday Inn Express brand's YouTube, Instagram, Twitter and Facebook pages.